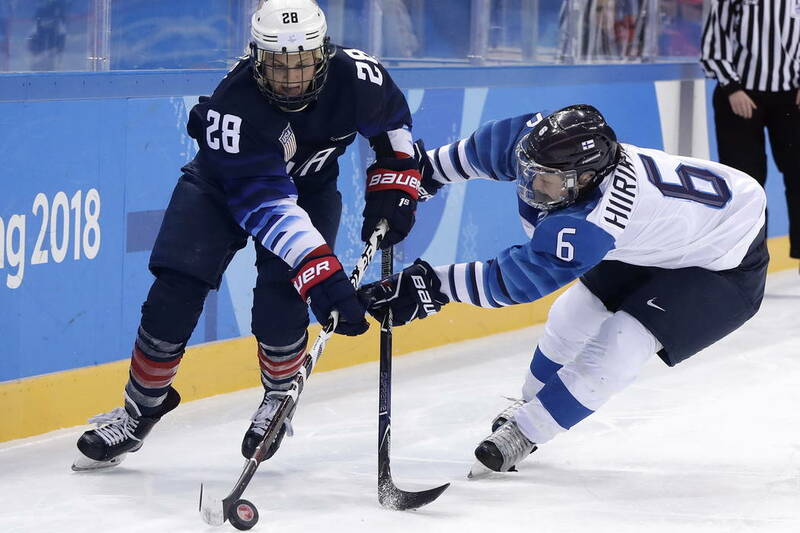 The United States will play for the Olympic gold medal that has eluded them for nearly two decades after shutting out Finland 5-0 on Monday in the semifinals. 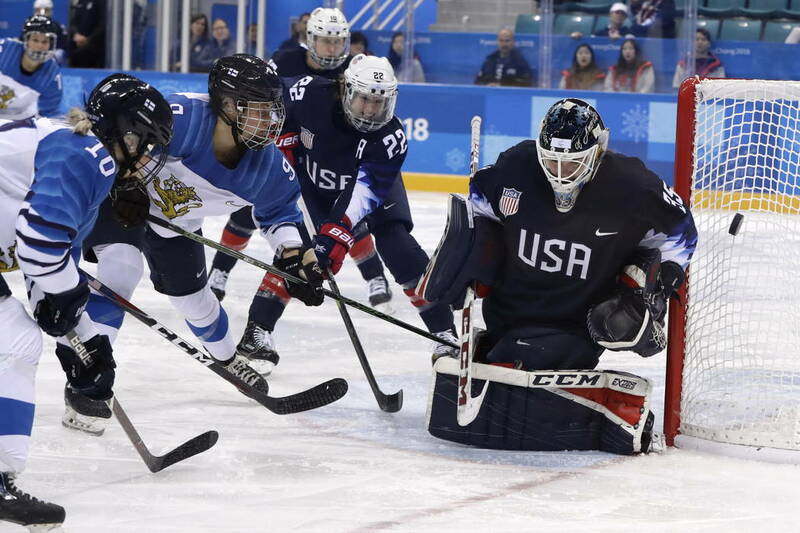 GANGNEUNG, South Korea — The United States will play for the Olympic gold medal that has eluded them for nearly two decades after shutting out Finland 5-0 on Monday in the semifinals. The Americans are back in the title game for a third straight Olympics, and they will play the winner of the other semifinal between Canada and the “Olympic Athletes from Russia” on Thursday, looking to win their first gold since 1998 when women’s hockey debuted in the Olympics. Knight is among the 10 Olympians on the roster who played — and lost — gold to Canada in 2010 in Vancouver and again in 2014 at Sochi. “This is what we work for is this chance to play for a gold medal,” three-time Olympian Monique Lamoureux-Morando said. Dani Cameranesi scored two goals and added an assist to lead the Americans over Finland. Gigi Marvin started the scoring, and Jocelyne Lamoureux-Davidson and Knight both scored during a 5-on-3 34 seconds apart in the second period. Maddie Rooney made 14 saves for the shutout. Finland remains winless now in eight games against the Americans at the Olympics. The Finns, ranked third in the world last year, will try to take home the bronze medal for the first time since 2010. The Americans opened these games a 2-1 loss to Canada wrapping up pool play. 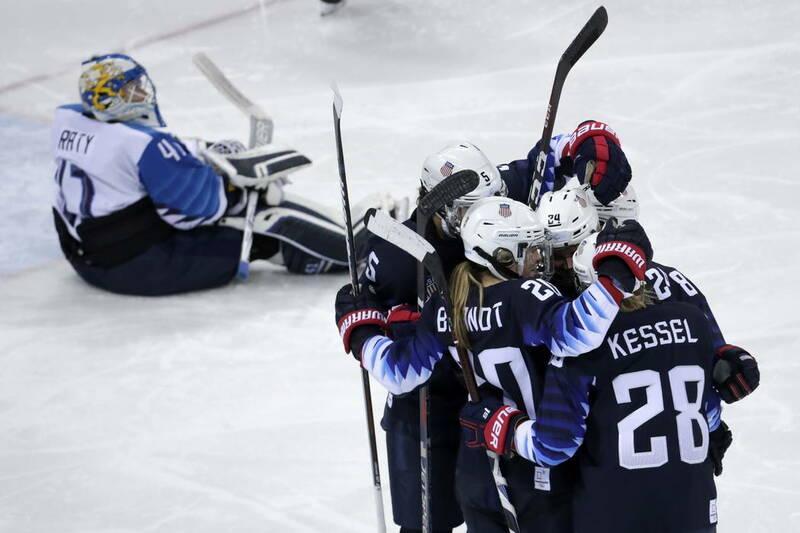 “This was really a gold-medal preparation for us because they’re a darn good team, and we had to be ready to play,” U.S. coach Robb Stauber said of Finland. The Americans wasted no time getting on the board. Captain Meghan Duggan found Marvin alone in the slot, and she beat Raty stick-side for the easy goal just 2:25 into the game. Finland lost defenseman when she had to be helped off the ice and to the locker room after a knee-on-knee collision with Duggan. She was knocked off balance before crashing face-first into the boards, snapping her head back. When play resumed without a penalty, some fans booed. Savolainen returned in the second period. Stauber said the referee immediately came over and said it was a collision. Duggan said she was really happy Savolainen got up and that any decision about a potential suspension was out of her control. Cameranesi put the United States up 2-0 with 1:22 left in the period, taking the puck away from Susanna Tapani and skating into the left circle before beating Raty’s blocker with a wrist shot top shelf. Lamoureux-Davidson’s slap shot from the left circle came with 2 seconds left on the 5-on-3 at 13:21 of the second period, and Knight got her first goal of this tournament by redirecting a shot from Sidney Morin with 5 seconds left on the man advantage for the 4-0 lead. Cameranesi padded the lead as she scored from the slot over Raty’s glove off a pass from Hannah Brandt. The Americans weren’t quite ready to turn their attention to a specific opponent just yet.